I feel like I owe macaroons an apology. 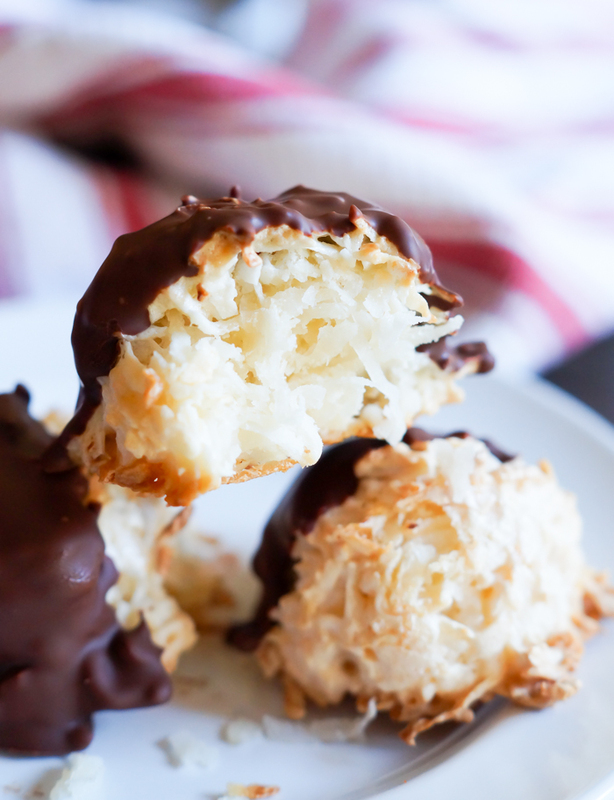 Ever since the dainty, fancy macarons hit the scene in a big way, coconut macaroons took at backseat in my kitchen. 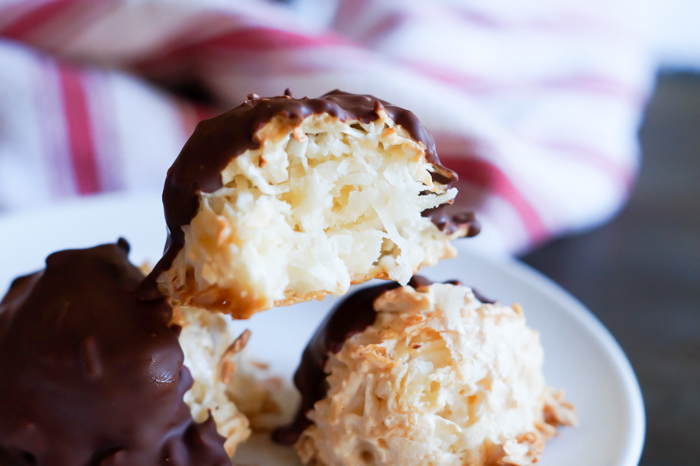 The truth is, though...I really prefer macarOOns to macarOns. *this post is sponsored by H-E-B. What do these two cookies have in common besides the name? They both have a meringue base, a crispy exterior and chewy interior. 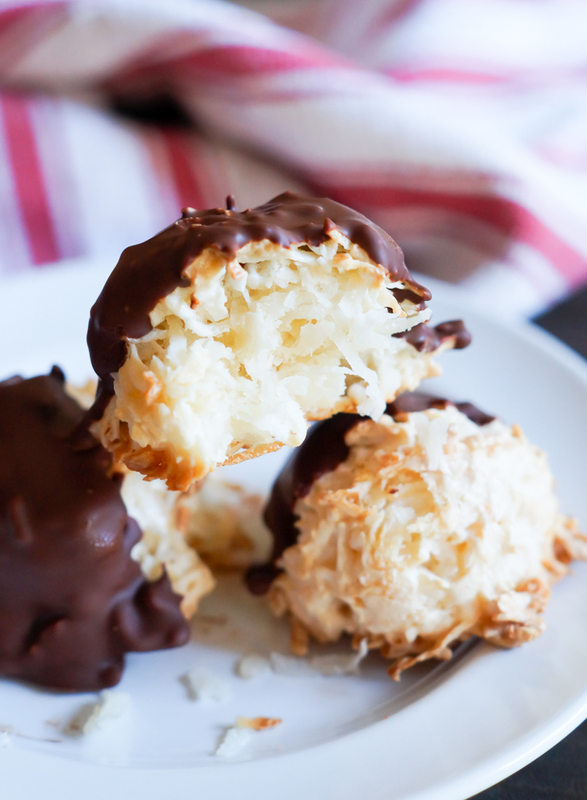 While macarons are petite and smooth, macaroons are big, fluffy, mounds of coconut cookie. 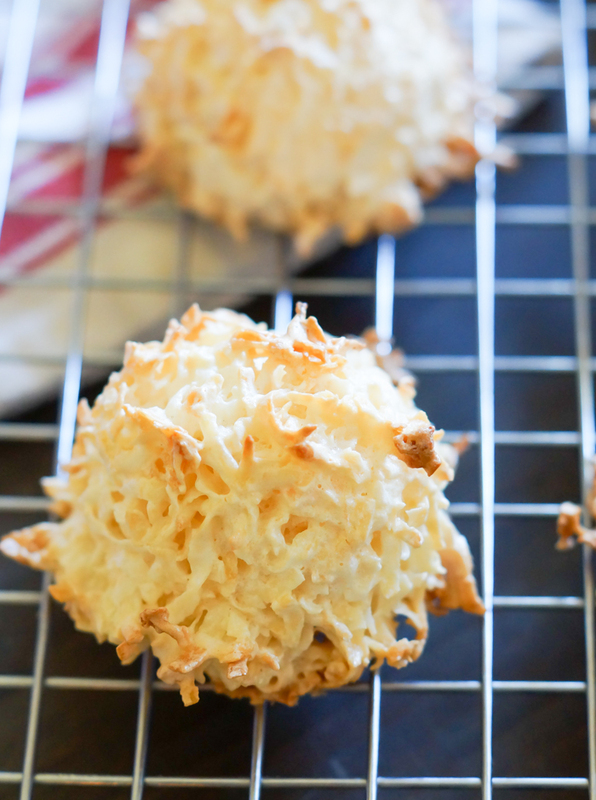 Here's what makes these a little different...instead of the typical sweetened coconut, these are made with unsweetened coconut. Guess what? I like them BETTER this way! 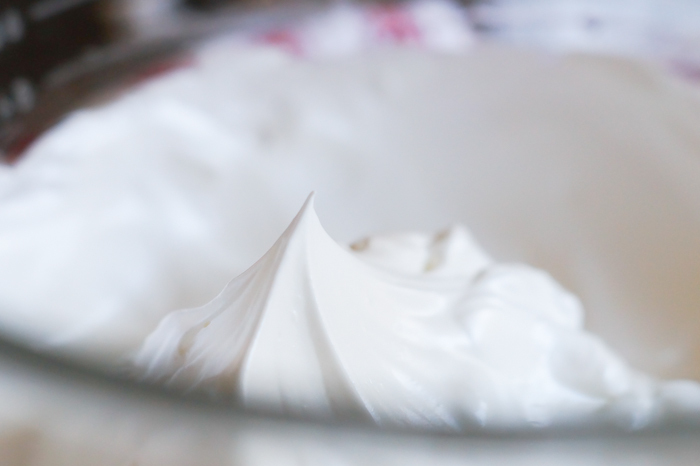 then, you'll whip them with sugar until glossy, stiff peaks form. I love using a 2-tablespoon cookie scoop for perfectly portioned and rounded cookies. Don't you love a tall, puffy cookie? 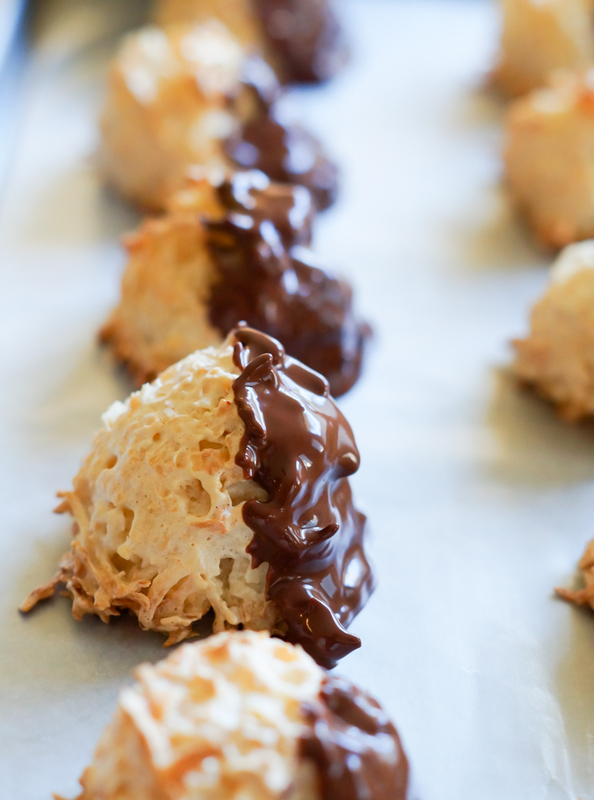 The baked cookies are then dipped in melted semisweet chocolate. I use semisweet chocolate frequently, but I'm loving this one from H-E-B. It's allergen-free. No dairy, no gluten, no soy. I stirred a bit of coconut oil into the melted chocolate to make it smoother for dipping. Cookies dipped in chocolate? Always a good idea. Line two cookie sheets with parchment paper. Preheat oven to 325. 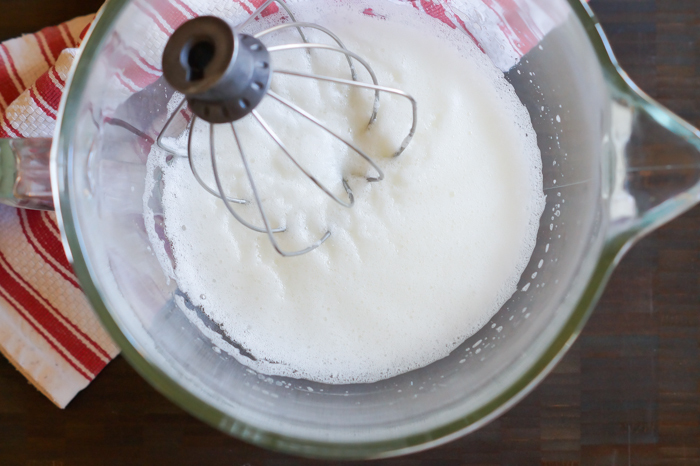 With the whisk attachment of an electric mixer, beat the egg whites until peaks form. Add the sugar, corn syrup, and salt, whipping until glossy and the mixture forms stiff peaks. 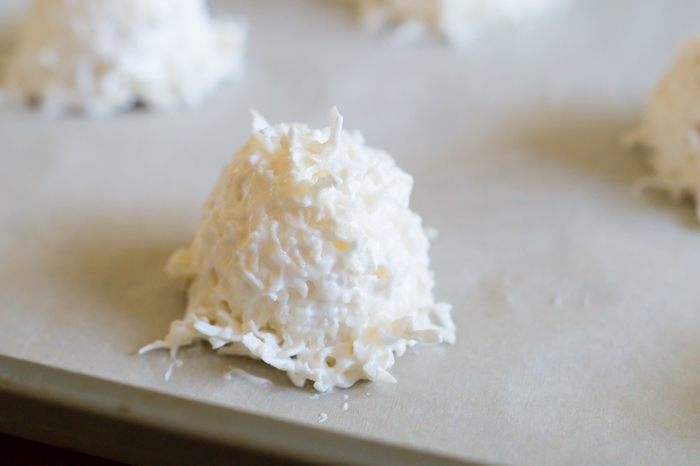 Stir in the flour and extracts, then the coconut. Use a 2-tablespoon cookie scoop to portion the dough onto the prepared sheets. Bake for 20 minutes until lightly golden and set. Remove from the cookie sheet and cool on a wire rack. 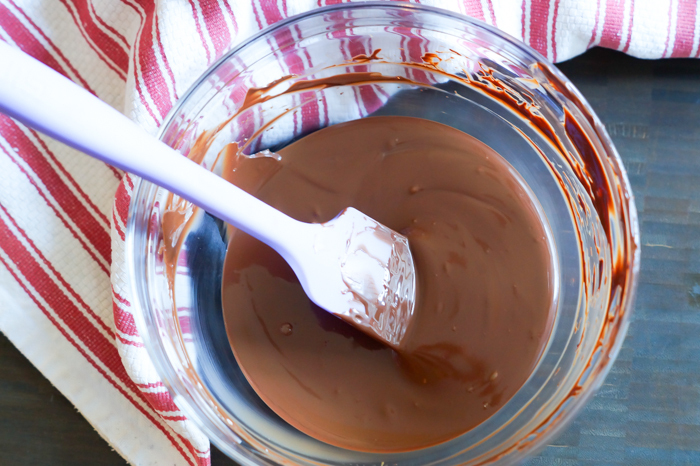 Place the chocolate in a glass or metal bowl over a pan of simmering water. Stir until melted. Remove from heat and stir in the coconut oil. 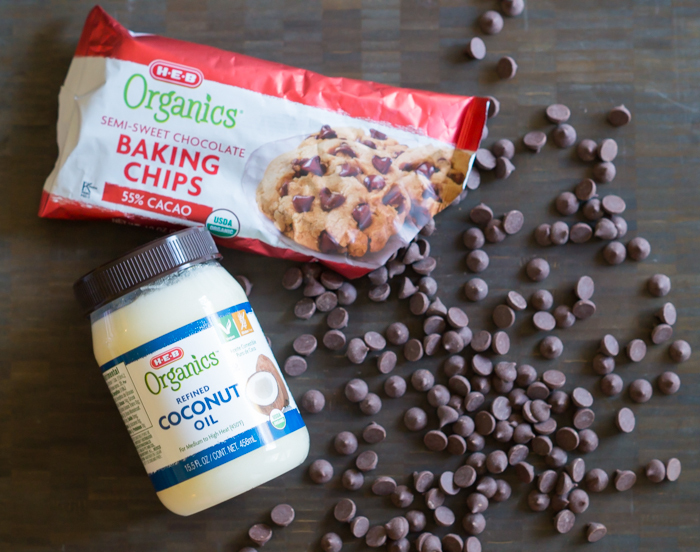 Dip the cooled cookies into the melted chocolate and place on waxed paper-lined cookie sheets. Refrigerate for 30 minutes, or until set. 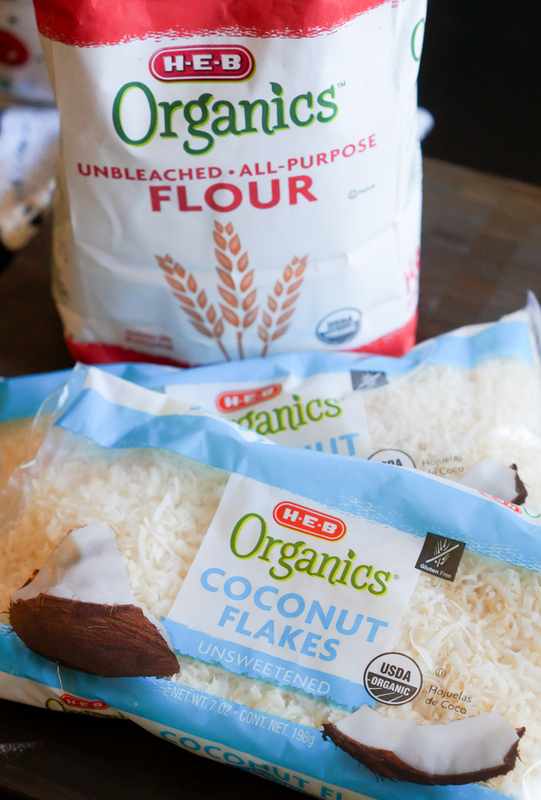 Hi Bridget, can I use natural coconut (not packaged)? Thanks! Hi Angelica! 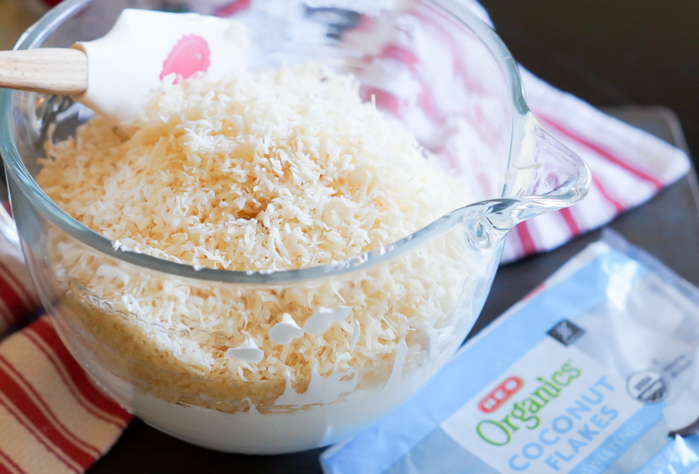 I've never tried the unpackaged coconut, so I'm not sure of the texture, etc. Thanks for reading! Who could possibly resist these?!?! 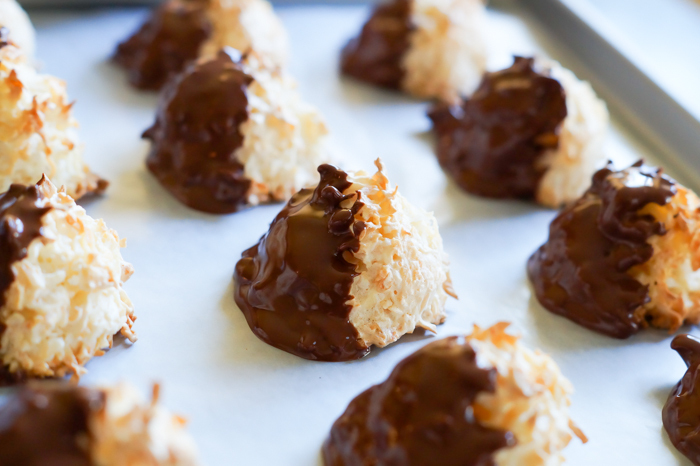 Hi Bridget, I'm wondering how to store the macaroons. They look delish!